There was an interesting post the other day about how workers in a US restaurant took direct and collective action to protect their health and safety when confronted with (1) unsafe temperatures and (2) a potentially lethal carbon mono-oxide leak. In both cases, the workers walked off the job until the employer addressed the problems. This forced the employer to rectify the problems, something the employer had initially declined to do. This concerted activity is protected in the US by Section 7 of the National Labour Relations Act. The highly mobilized workforce in this diner also created a degree of protection for such collective acts of resistance. There are no similarly broad concerted activity protections in Alberta’s labour laws. Instead, Alberta workers could refuse unsafe work (a right under the OHS Act and for which retaliation is officially precluded). If the employer failed to remedy the problem, it would eventually be escalated to an OHS officer. The officer might or might not agree with the workers’ concerns and, if so, might issue a stop-work order. Whether calling OHS would be effective depends on a lot of things, including how close the nearest OHS inspector was, whether the condition existed by the time the officer got there (temperature can change even though the root cause remains), and the degree of (mostly illegal) pressure (overt or subtle) that the employer exerted on the workers to return to work and abandon their refusal. While Alberta’s labour laws generally provide superior statutory protections than US laws, it is less clear if they offer better actual protection. That is to say, the paradox of poor employment laws is that they may compel workers to adopt more effective tactics to protect themselves than do better laws. In this way, it is sometimes helpful to think of employment laws as both an effort to provide protections to workers and an effort to direct conflict into manageable dispute resolution processes. In this case, Alberta’s OHS rights provide (in theory) protection against workplace hazards (if you follow the process), but (unlike the US NLRA Section 7 rights) don’t protect other (probably more effective) forms of concerted activity. Alberta’s Labour Relations Code does provide protections for associational activity, but only in the narrow circumstances of forming or participating in a trade union. A group of non-unionized workers who asked for, say, a better shift schedule and were punished by their boss for doing so, would have no meaningful recourse in Alberta. If they walked off the job in protest of the punishment, they’d just get sacked. This absence of broader concerted-activity protections in Alberta acts as a barrier to direct and collective action by workers outside of the structure of formal trade unionism. This may, in fact, be the purpose of the absence of such protections—it protects the turf of organized labour and limits the threat posed by workers to employer power. Whether limiting statutory protections for associational activity to participation in formal trade unionism is consistent with the Charter will be an interesting question going forward. Children 12 and under cannot be employed except in artistic productions and then, only with a permit and parental permission. These new rules raise the minimum age of employment from 12 to 13. Teens 15 to 17 can perform basically any job, but there are a small number of restrictions on hours of work. Occupational Health and Safety (OHS) rules also require all employers to have a hazard assessment that identifies hazards and how they will be controlled. Overall, not much has changed except that the 12-year-olds are no longer allowed to work. There is also some fancy dancing around the issue of teens who are self-employed contractors, the upshot of which basically permits kids of any age to participate in casual babysitting, snow shoveling, and lawn mowing but precludes such work as regular employment for those under 15. These rules are better than earlier proposals that would have allowed 13 and 14-year-olds to also perform light janitorial work, grounds-keeping work (including using powered equipment), light assembly work, and painting—all of which are jobs that would expose teens to significant hazards. The most troubling part of this announcement is the note that none of these rules apply to children or teens employed on farms and ranches. I was not able to find a copy of the new Employment Standards Regulation, but I did confirm this with the ES call centre. Practically, what this means is that there are still no rules around child employment on farms and ranches. This is a broader exception than that which has been enacted in others branch of Alberta employment law following Bill 6, which typically excludes paid family members from the ambit of certain laws but includes non-family farm workers. So not only can farmers and ranchers employ their own children on their farms, they can employer other people's children as well. It is stunning that a New Democrat government would exclude perhaps the most vulnerable group of workers in one of the most dangerous industries in Alberta from its new child labour laws. 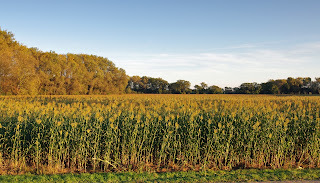 While there are lots of safe(ish) jobs on farms and ranches (such as the near-apocryphal collecting-eggs-with-grandma example that is always trotted out), it is dangerous for children to be proximity to many kinds of farm work (as evidenced by blind equipment run-downs and drownings). The absence of child labour laws on farms means that a farmer could hire a 9-year-old to drive a grain truck, a 10-year-old to transfer grain to a silo using an auger, an 11-year-old to clean a silo, a 12-year-old to herd a dozen 1300lb dairy cows, a 13-year-old to operate a legacy potato-sorting machine with no safeguards, and a 14-year-old to run a posthole digger of a chain saw. In theory, the employer is supposed to do a hazard assessment (at least for non-family employees), which would flag these jobs as inappropriate for such young workers. But most Alberta employers don’t comply with that requirement, so it won't protect children. And, sure, workers can refuse unsafe work. But children simply aren’t going to recognize and refuse unsafe work--which is, of course, why we have child labour laws in the first place. So the result of the government’s decision to exempt farms from child labour laws is going to be children placed in hazardous employment situations, some of whom will be maimed and killed as a result. Perhaps these children would be maimed and killed even if the laws prohibited dangerous farm work (which is why we need stepped-up enforcement). But at least then the government wouldn’t be sanctioning and indeed normalizing work that will lead to the injury and death of children. If you're looking for a last-minute Christmas present, I’ve just released a new book entitled Canada’s Labour Market Training System. You can buy the book for $30 or download a pdf version for free. 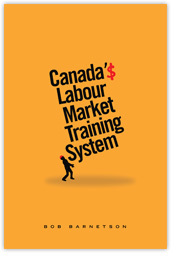 The book examines how the labour market training occurs in Canada and whose interests it serves. We often hear complaints that the system—post-secondary institution, government policies, community agencies and workplace training—is failing at producing the right number of workers with the right skills. The book suggests that the “system” is not one in the sense of it being a machine that turns out widgets. But, rather, it is a system in the political sense, where different stakeholder groups seek to advance their interests. The outcome of the system tend to reflect the relative balance of power between stakeholders. This book is the main text in a new course that we’ll be opening in January: EDUC 210: The Canadian Training System. The course should also be available as an open course (i.e., you can learn the material without doing the assessments or receiving credit) shortly. We’ve done something similar with IDRL 308: Occupational Health and Safety that Jason Foster and I wrote Health and Safety in Canadian Workplaces.